Cantonese steamed whole fish with ginger and scallion products a super umami flavor with juicy and tender meat. If you get a fishing man in your house, this is the super great way to cook their harvests. 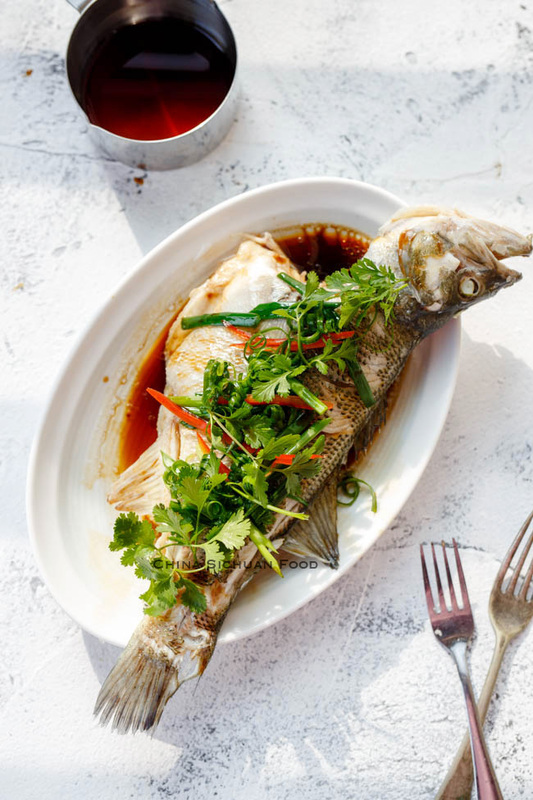 Within only 20 minutes, the restaurant style steamed fish can be on your family table.In China, we have several ways of steaming fishes depending on the types of fish and the water condition and local cooking culture. Firstly, we treat fresh water fish and sea fish differently. 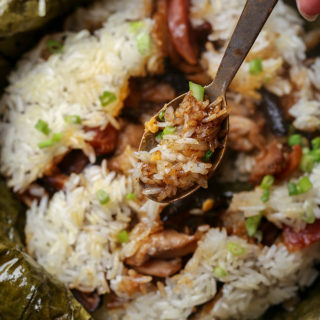 Though we are using a Cantonese way of making steamed fish, please note that in Cantonese cuisine, where sea fish is mostly used for steamed fish, marinating is not needed. Clear the fish, dry and steam directly with highest fire. 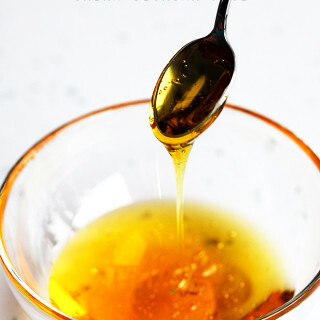 However, in other Southern cuisines, where fresh water fish is mostly used for steaming, marinating with salt, cooking wine and aromatics can remove the “fish smelly “greatly. If possible, 500g to 700g live fish is the best option for steamed whole fish. 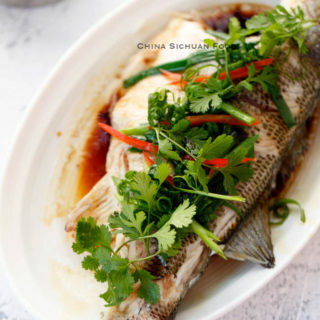 In China, living fish is the most popular choice for most of our fish dishes. We have all type of living fish available in our supermarket. If you cannot get the living ones, choose the fresher ones with clear eyes and free of any odd smelly. In generally, flatter fishes are better choice than thicker ones, as they need shorter steaming time and the meat can be kept as tender as possible. After washing the fish, we need to completely dry the fish before cooking. 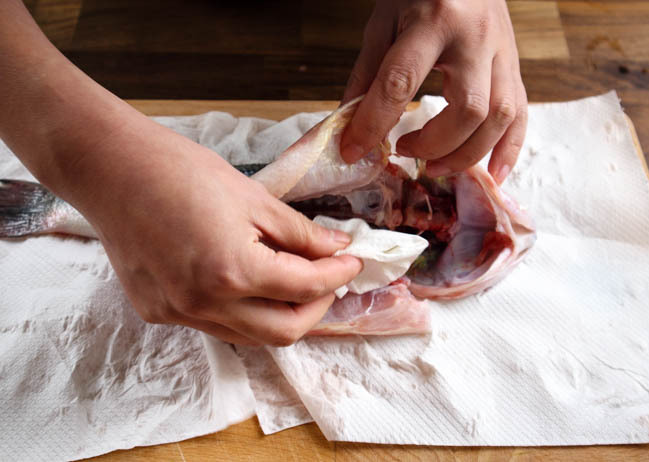 If possible, you can hang it in room temperature for couple of hours until the skins become slightly tightened. Or use a kitchen paper to pat dry. 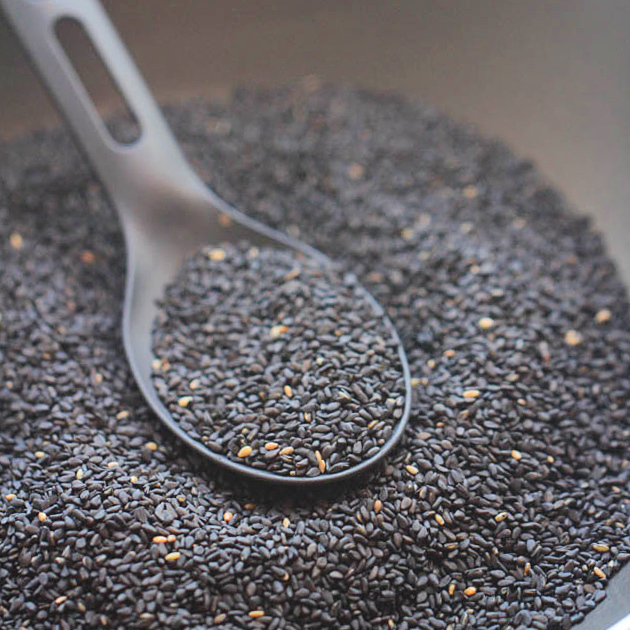 The fish fibers absorb the seasonings better after this drying possible and it also can help to remove the raw fish smelly. Firstly, place the fish when the water is already boiling. And place chopsticks or scallion white on the bottom of the fish to let the vapor go through the fish freely. If you plan to steam in a wok, you can skip the plate and use chopsticks to hold the fish. 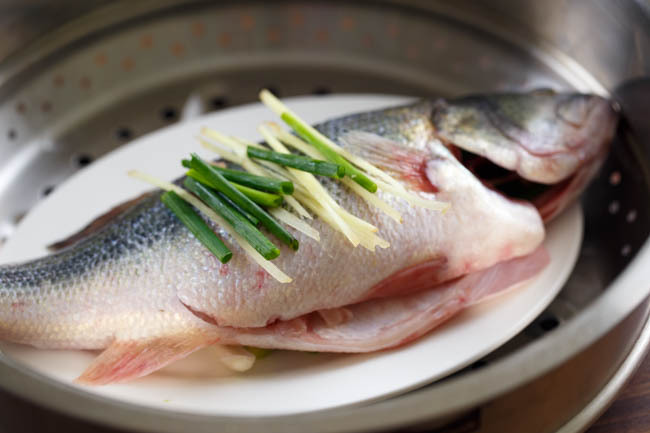 For example, to steam a 600g fish in home kitchen, we only need 5-7 minutes to finish steaming a sea fish and 7-10 minutes to finish steaming a fresh water fish. My favorite way is to steam 5 minutes and stand for another 1 to 2 minutes. 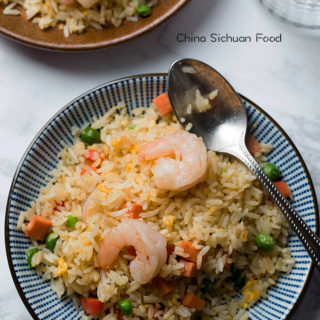 We use a combined seasoned soy sauce for seafood for most of cantonese steamed dishes. It is lighter and slightly sweeter than normal light soy sauce. You can purchase it from your local asian stores or on amazon. 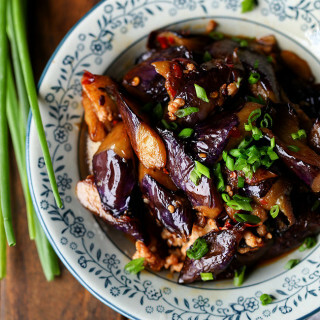 You can make a similar taste by using light soy sauce. Mix light soy sauce, water and white spirit in a small pot. 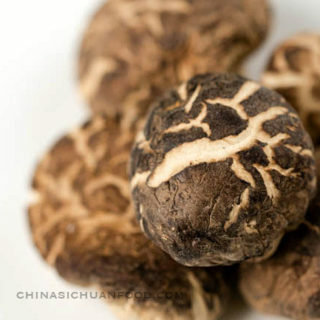 Bring to a boiling and then mix with white pepper and sesame oil. Cut half of the scallion and ginger into small sections. For decoration: shred scallion with a fork and then soak them in cold water. Clean the fish completely and peel off any black skins in the stomach of the fish. Drain completely. Watch the body shape if your fish. If it gets a thick back, cut a line and separate the back into two parts. Or if it gets thick stomach, cut 2 lines on the thickest meat, so the meat can be cooked in a shorter time and be kept as tender as possible. 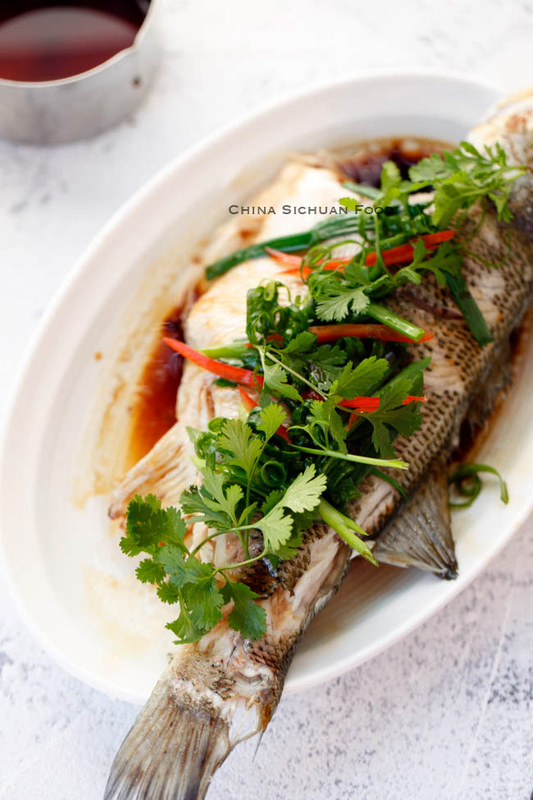 (Optional for fresh water fish only), spread a very thin layer of salt on the surface and stomach of the fish.Place scallion and ginger inside of the fish. Place the scallion white or two sections of chopsticks and then place the fish in. Lay some scallion and ginger on top. Bring enough water to a boiling in a large pot and place the fish in after the water boils. Start the count the time, steam 5 minutes and stand for 1 to 2 minutes. 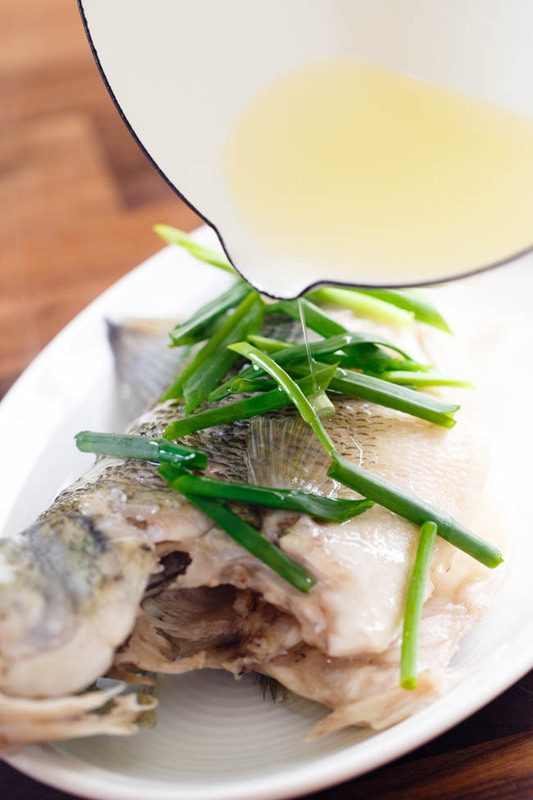 Transfer the fish to a clean plate, discard the scallion and ginger and place the newly cut scallions.Heat around 2 tablespoons of cooking oil until almost smoky and pour the oil evenly on the scallion shreds. Heat the seasoned soy sauce until warm and pour evenly on the plate. If your soy sauce is cold, pour them on the two sides of the fish, not over the fish. 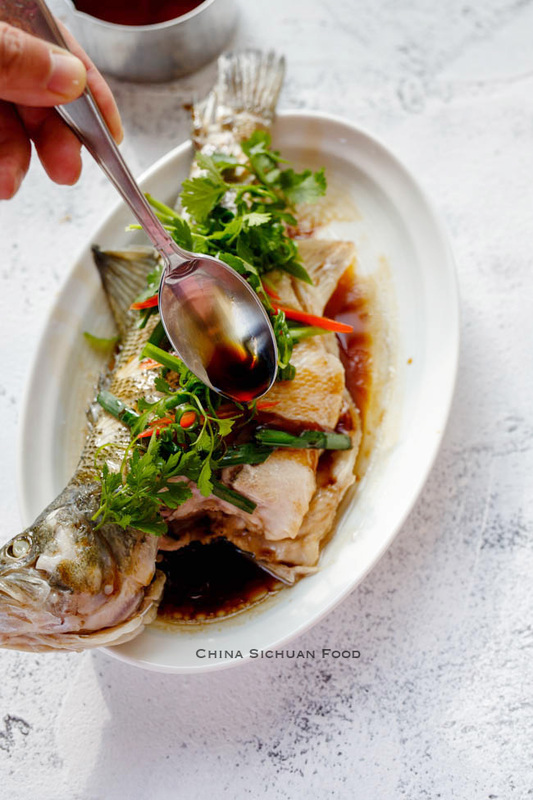 Traditional and authentic Chinese steamed fish with soy sauce. Cut half of the scallion and ginger into small sections. For decoration: shred scallion with a fork and then soak them in cold water. Watch the body shape if your fish. If it gets a thick back, cut a line and separate the back into two parts. Or if it gets thick stomach, cut 2 lines on the thickest meat, so the meat can be cooked in a shorter time and be kept as tender as possible. (Optional for fresh water fish only), spread a very thin layer of salt on the surface and stomach of the fish. Place scallion and ginger inside of the fish. Place two scoops on the plates, or two sections of chopsticks and then place the fish in. 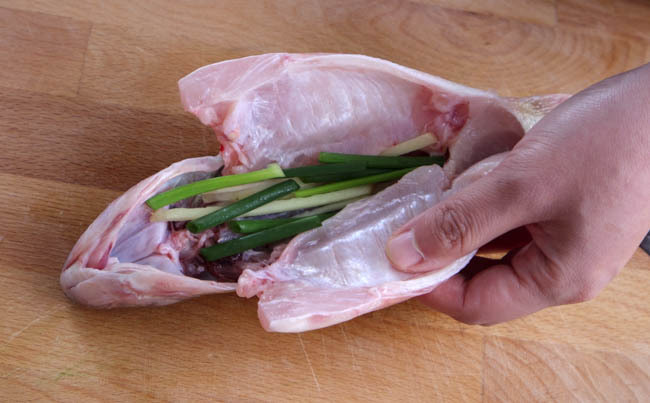 Transfer the fish to a clean plate, discard the scallion and ginger and place the newly cut scallions. 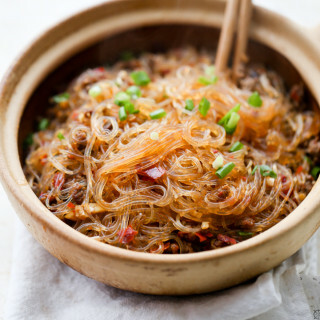 Heat around 2 tablespoons of cooking oil until almost smoky and pour the oil evenly on the scallion shreds. Serve hot and should be finished within 10 minutes. A simple but great way to cook fish. I think you meant to say, “1 small chunk of Ginger” not “finger”. Also, for the “chop sticker”, do you mean a steamer? A piece of ginger is referred to as a “finger”, not a chunk. Fantastic recipe. I used to live in Hong Kong for 20 years and this is my favorite way to have fish. So clean and tender. Delicious! Thank you so much! Thanks so much Claudine for the information. I know that finger is a better words for similar situation. 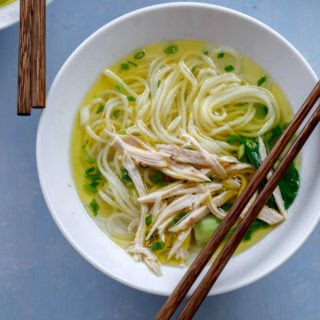 How long is the dish that you used in this photo? You mean how long the fish is?